40% of Americans Don’t Have Dental Insurance. New Solutions Are Needed. There’s no doubt that cheaper dental care is needed by Americans. Costs of living and health insurance premiums are continuing to rise, and as a result, many American may view dental care as an expendable expense. This may explain why some delay receiving treatment until they are in intolerable pain. Penn Dental Medicine is proud to offer affordable dental care. Because we operate in conjunction with the University of Pennsylvania School of Dental Medicine, Penn Dental Medicine is in a unique position to offer highly discounted rates in exchange for high quality dental care. With the Penn name and reputation behind all of our work, you can’t go wrong with a visit to our Philadelphia clinic location. As a bonus, we are happy to offer this $25 off coupon for you to use on your first visit! To get started, you can fill out this form online. If you become our patient, you will enjoy the benefits of cheaper dental care from faculty and students at a world-renowned institution! We offer general dentistry as well as a comprehensive array of speciality dental areas. Read on to learn about a few of our popular specialties at Penn Dental Medicine. A pediatric dentist can provide dental care and education for your child. Children have unique dental needs which change over time as they grow up. While some parents mistakenly think that dental care doesn’t matter because their children’s baby teeth will fall out, the truth is that proper care and regular visits to the dentist during childhood will build a solid foundation of oral health for your child. We recommend bringing your child in for their first appointment when their first tooth makes its appearance, between 6 months and 1 year of age. A periodontist will address gum health. According to the CDC, 47% of Americans are unaware that they suffer some variety of gum disease. In adults over age 65, that rate increases to 70%. Since periodontitis is the #1 cause of tooth loss, gum health should be taken seriously by every American. If you notice bleeding gums, gum recession, or loose teeth, you should head to see a periodontist immediately. Prompt care can help get gum disease under control and reduce your chances of recurrence. An orthodontist can work with you to straighten your teeth. Children, teenagers, and adults alike enjoy the benefits of premium orthodontic care to correct misaligned bites as well as crooked or overcrowded teeth. Penn Dental Medicine offers both traditional orthodontics (metal braces) and Invisalign. As orthodontic treatment involves a significant temporal and financial investment patients come to Penn Dental Medicine to take advantage of our discounted rates. Thanks to PDM orthodontists, you can enjoy straight teeth for the rest of your life! An endodontist will take care of inner tooth infections. 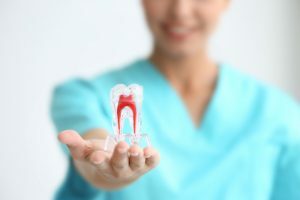 Endodontic treatment addresses inflammation and infection of the dental pulp, that soft tissue inside your tooth containing nerves, blood vessels, and connective tissues. You may need to see an endodontist if there is deep tooth decay, repeated procedures on a tooth, trauma, or a problem with a crown. When you’re in need of a root canal or related procedure, you want an endodontist you can truly trust. Patients who choose Penn Dental Medicine for their endodontic care receive quality and affordable care from a reliable provider. Comprehensive and Cheaper Dental Care Is Within Reach! As a comprehensive care center, we offer a highly streamlined process and coordinated care all under the same roof. Besides the specialties highlighted in this blog, we also offer oral medicine, oral surgery, prosthodontics, and radiology. Cheaper dental care and quality assurance are what bring our patients back, time and again. If you’re ready to get started as a new patient at Penn Dental Medicine, please give us a call today at 215-898-8965.